Oh thank you for that, I'm not sure how to get it to show images? I hate Photobucket anyway. I have no idea why my friend has 2 recovery partitions? What shall I do? 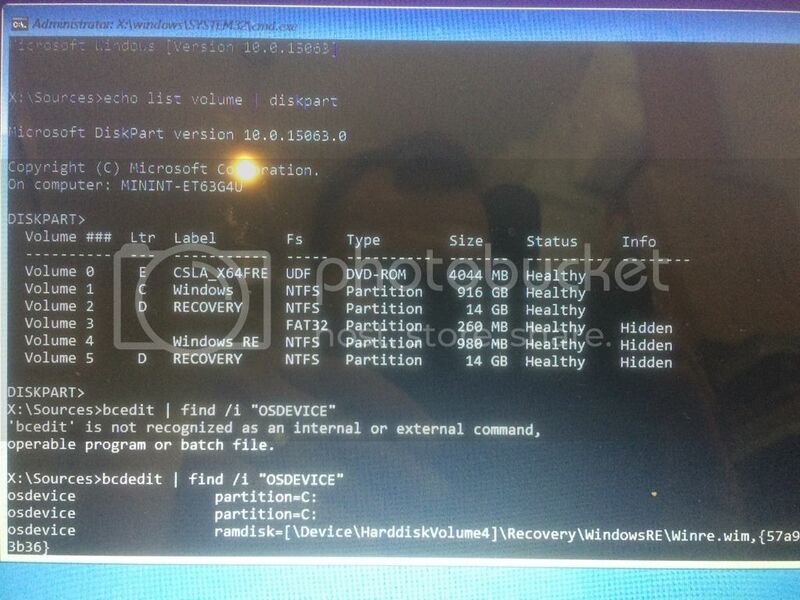 C: is windows as normal D: recovery windows sets up a small recovery drive when you install, I'm guessing that win 10 was an upgrade from a windows 8 or 8.1 originally on the machine hence the two recovery drives, these are normally hidden. 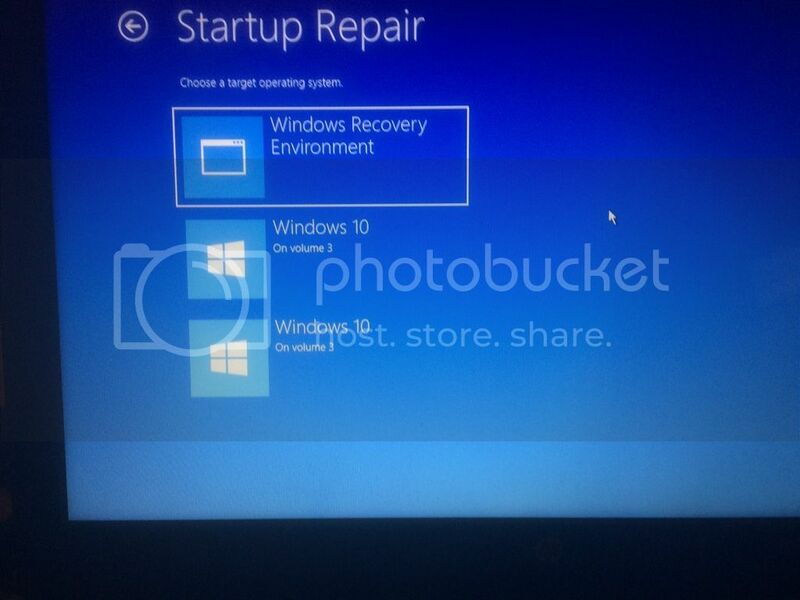 Vol 4 win RE is where windows puts its tools so you can boot to the recover environment and do things like start up repair, system restore or reset the computer. Did it not find an installation to repair? Surprised both showing as D: with one hidden but looking again 14GB is too big for the normal win recovery so must be a recovery partition set up for the laptop containing a disk image. I would be tempted to connect laptop to another machine extracted any data required (photos docs emails etc.) then use diskpart to completley wipe the drive and do a freh install from the boot media. That way he can be certain there is no lingering malware, trojans, keyloggers, etc. HAve you tried the second? I assume you have and that won't repair either. I'm afraid so...... My friend says that there is no important data on there so which way would you advise going ahead with regarding a complete reinstall?